RTW provides the IBC 2013 technology team with TM9 and TM7 to support audio in the IBC Big Screen auditorium, as well as TM3 units to support the IBC News team’s live and studio coverage of the show. AMSTERDAM, 13, SEPTEMBER 2013 – RTW (IBC Stand 8.D92), a leading vendor of visual audio meters and monitoring devices for professional broadcast, production, post production and quality control, is pleased to announce that it is providing the IBC 2013 technology team with TM9 and TM7 TouchMonitor audio meters to support audio in the IBC Big Screen auditorium, as well as four TM3 TouchMonitor units to support the IBC News team’s live and studio coverage of the show. The IBC Big Screen auditorium, which debuted in 2003, will host several of IBC 2013’s top events, including the keynote presentations, awards ceremony and exhibitor and conference sessions, as well as free movie screenings for attendees. Designed to the IBC’s specifications, the auditorium is equipped for 4K and stereoscopic 3D digital projection and Dolby 7.1 surround sound audio. The IBC technology team selected the RTW TM9 for signal monitoring in the IBC Big Screen projection booth. 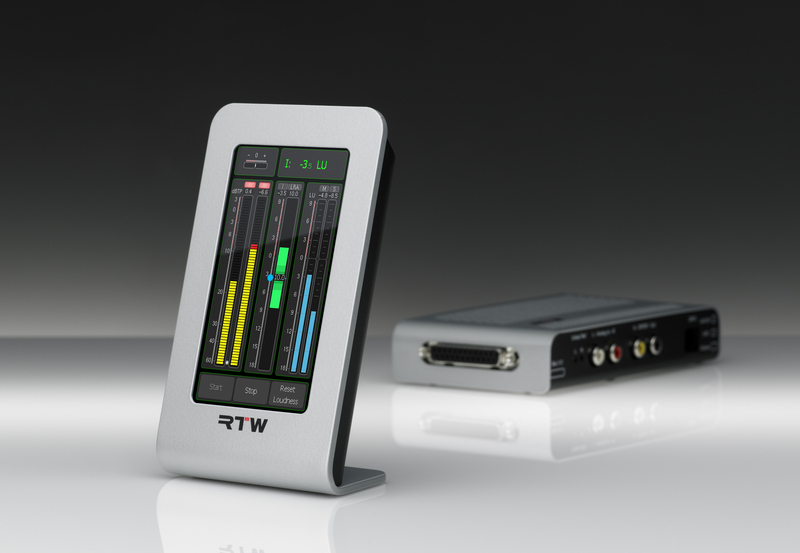 The TM9 will be equipped with several software modules, including RTW’s Multichannel Mode, Loudness and SPL Display, RTA Real Time Analyzer and SSA Surround Sound Analyzer. In addition, Nelson and his team chose RTW’s TM7, equipped with RTW’s Multichannel Mode, Loudness and SPL Display, SSA (Surround Sound Analyzer) and Radar Display modules, to monitor signals alongside the Midas PRO 9 digital console surface used in the IBC Big Screen. While this version of the TM7 is equipped with the same analog and digital inputs and outputs as the TM9, for this application, as a general rule, the audio team only monitors the main eight outputs. The four TM3 meters were selected for their similar capabilities, along with their more compact size, which is more suitable for use in the various production centers (including the master control room) that the IBC News team uses to broadcast its live and studio coverage from the show floor. The TM7 and TM9 feature 7- and 9-inch touch-sensitive displays, respectively, and provide unparalleled flexibility and modularity combined with intuitive control. The software visualizes multiple sources simultaneously. Both support displaying the same signal on multiple instruments in parallel, each with dedicated defaults, and the capability for both horizontal and vertical operation. The system visualizes up to 48 channels depending on the installed interface combination (analog, digital and 3G SDI). 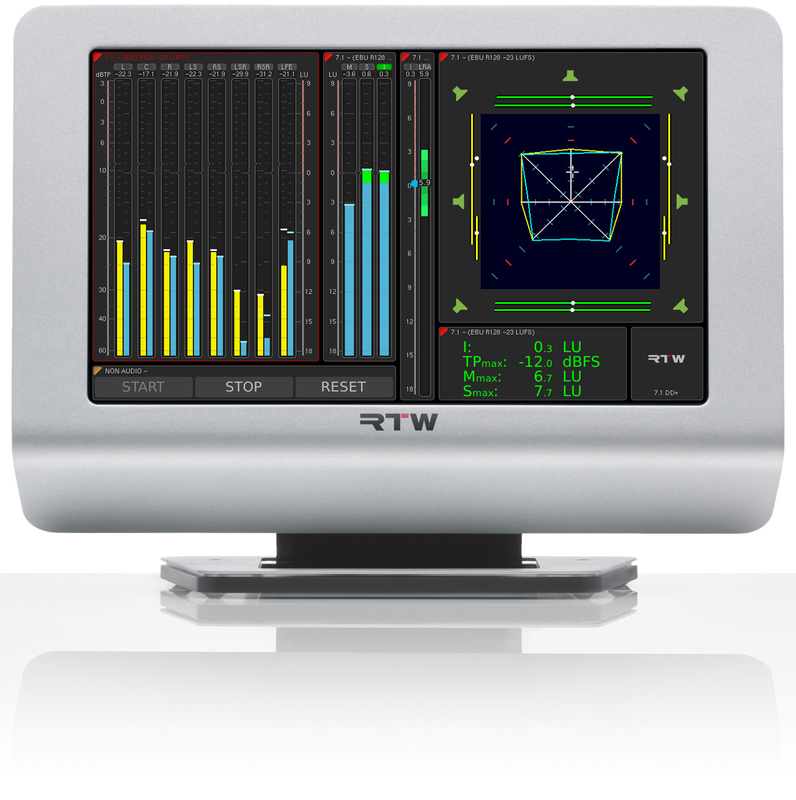 They also feature the innovative Magic LRA instrument, specifically designed by RTW for intuitive visualization of the loudness range and integrated-loudness parameters. Controlled using a touch-sensitive display, the TM3 has a 4.3-inch touchscreen and a stylish exterior allowing for horizontal and vertical placement. It includes a large number of graphical and numerical instruments showing single-channel, stereo and multichannel audio. It also offers summing-loudness bargraphs, PPM, TruePeak, SPL, loudness range (LRA), dialnorm and correlation. It is a highly appealing compact solution ideal for editorial offices, edit suites and small control rooms. The TM3 also features the Magic LRA instrument, PPM and TruePeak instruments. 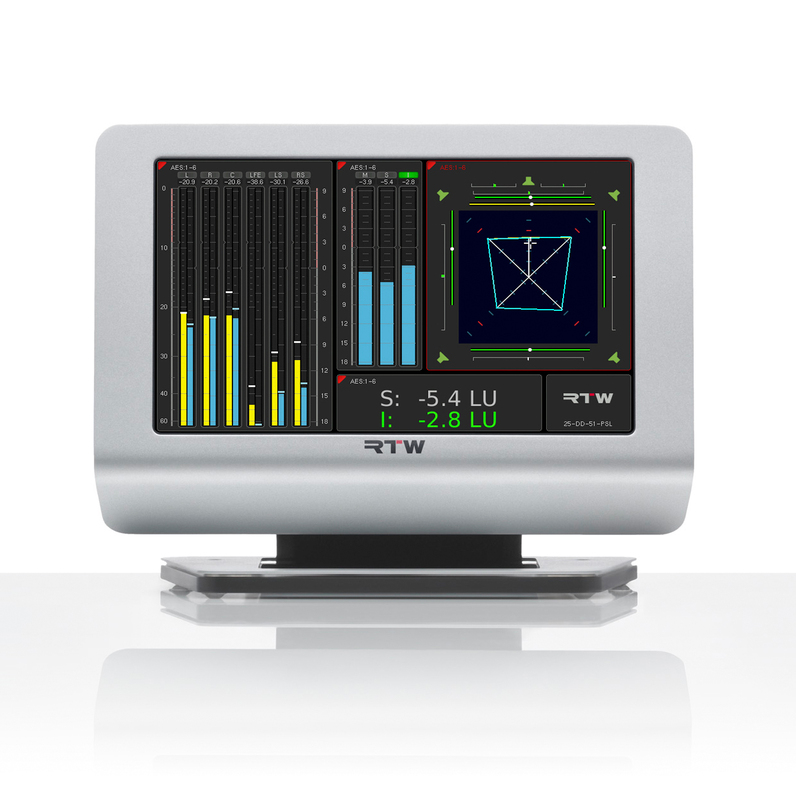 Along with the TM7, TM9 and RTW’s entire TouchMonitor range, the TM3 was created to help adhere to all major industry loudness standards, including EBU R128, ITU BS.1770-3/1771-1, ATSC A/85, ARIB and OP-59.